With an audience full of excited and dedicated community members, the church doesn’t have an empty seat. 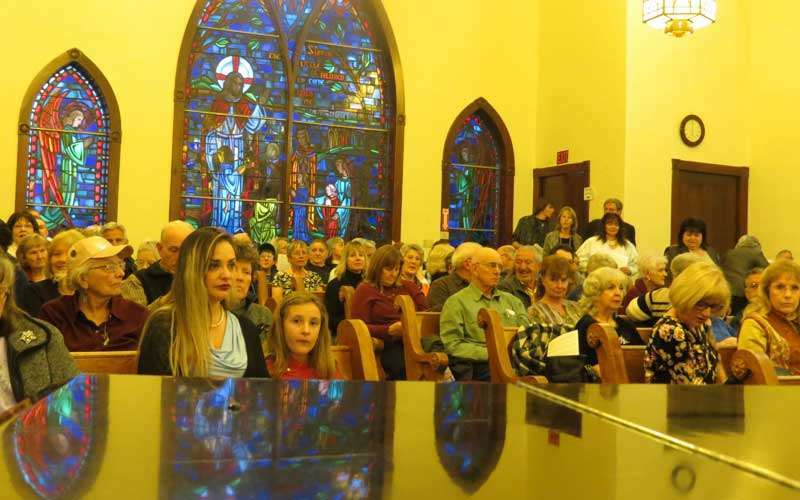 The Susanville Choral Society hosted the Rimsky-Korsakov String Quartet at the United Methodist Church March 9. The concert was to benefit the church’s restoration of its grand pipe organ. Admittedly, it was my first time stepping foot in the Methodist Church. The building had always stood out as a center of activity and beauty for Uptown Susanville. With its brick exterior, standing on the corner, it struck as the essential essence of small town America. Inside, after receiving my program from the smiling faces of Gary and Susan Felt, the room was swarmed with a swath of familiar faces — and the anticipation of a distinguished experience. It was packed to capacity, and the church opened up its side room to accommodate the humbling number of supporters present. In the side room, behind the organ, members of the string quartet were preparing for the night’s performance, quietly practicing amongst the commotion of the room. Quite a treat, even if they were in a pew and not on stage. Choral Society director Liudmila Mullin and her husband, Matthew, opened the evening with a quick welcome and introduction to the string quartet. As the four members of the quartet approached the church’s stage, it was easy to see their professionalism and poise. Their first piece, Tchaikovsky’s String Quartet No. 2, emoted grandeur and complexity and captivated the audience with its refined display of elegance. After the intermission, Dennis Roberts enlightened the audience with the purpose and history of the church’s pipe organ. 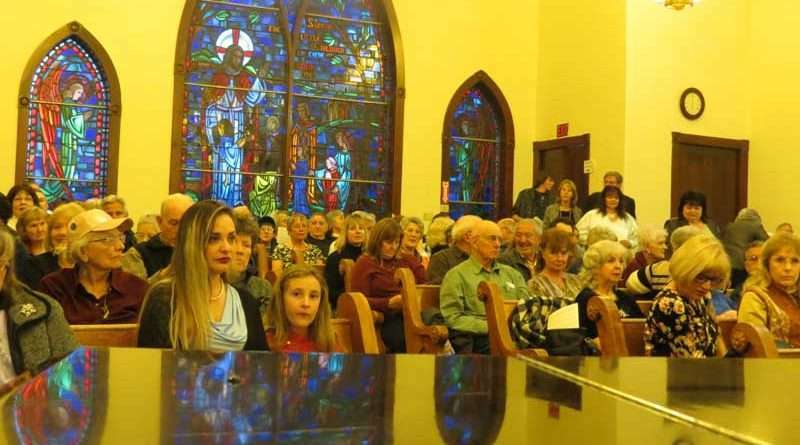 The performance’s admission was free, however, they encouraged donations from audience members for the pipe organ’s restoration to come to completion. Out of a proposed $12,000 needed for the restoration project, the church was in need of an additional $4,500 to be acquired by the close of May this year. Roberts announced, with the restoration of the pipe organ completed, he would entertain the thought of giving exclusive tours of the restored pipe organ, located in the back of the church. Upon return, Mullin and the string quartet presented an original omission from the stage performance of Peter Pan. With her voice strong and robust, Mullin and the quartet stunned the audience with their grace and power. Switching from Russia to Broadway and then to Italy, the versatility of the group shone throughout the entire performance. It was a delight to hear their rendition of the Neapolitan song “O Sole Mio,” a sweeping and romantic song. They closed the evening with selections from Les Vendredis Cycle for string quartet. Closing my eyes, the song gave a sensation of hearing the music within the halls of a Saint Petersburg cathedral; it was entrancing. It was delicate and held reverence to the classical work. The Choral Society put together a fantastic and rousing concert for the community and all for the benefit of the Methodist Church’s need of restoration. The group is still looking for assistance and donations for the grand pipe organ, with the deadline set in May.